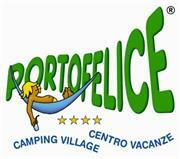 The Portofelice Camping Village, immersed in the enchanting pine forest in Eraclea Mare (VE) just a short distance from the Adriatic sea is perfectly organised and has accommodation and spacious pitches for caravans, camper vans and tents. Accommodation, for 4-6 people, has two rooms, a living room with a fully equipped kitchenette, a bathroom, covered terrace and private garden. There are all comforts: a washing machine, dishwasher, music system in every room, air conditioning/heating, a safe, satellite TV, mosquito nets and a barbecue. For free time and sport there are 4 swimming pools, 1 of which has a kids’ slide, 2 hydromassage tubs, 2 synthetic grass football fields, basketball, volleyball and beach volleyball, ping pong, a 5,000 m² play area, 14 professional entertainment staff, a private beach, a bar-restaurant-pizzeria, a supermarket, bazaar, cashpoint, Internet point and Wi-Fi throughout the campsite. The peace of Portofelice and the nearby pine forest ensure a relaxing stay!